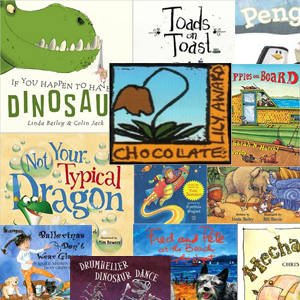 Anne O’Brien Carelli is the author of adult nonfiction, a middle grade novel, Skylark and Wallcreeper, and the picture book, Amina’s New Friends. She has always been fascinated by the French Resistance and studied history at Case Western Reserve University. For her PhD, Anne researched psychology of the gifted. Originally from Ann Arbor, Michigan, Anne lives in the Hudson River Valley in upstate New York and spends any free time quilting and reading, reading, reading. We are delighted that she took time out of her busy schedule to talk with us about the novel and the power of language. Your book, Skylark and Wallcreeper, came out last October and received wonderful reviews. Can you tell our readers a little about the plot, without spoiling the ending? It’s hard to talk about the book without giving things away! Skylark and Wallcreeper alternates between New York City in 2012 and southern France in 1944. When twelve-year-old Lily is helping to evacuate her grandmother during Hurricane Sandy in New York City, her granny insists that Lily hang on to a fountain pen and never lose it. That pen, and a lot of other mysterious clues, leads Lily on a mission that reveals her granny’s past during WWII. Part contemporary, part historical fiction, the story is full of secrets, intrigue, danger, and affection. You’ve said that you started writing Skylark and Wallcreeper after talking to a nurse about her experience evacuating residents from a nursing home during a hurricane. What is it that drew you to write about the French Resistance? I have been interested in the French Resistance ever since I learned about it in a social studies textbook. It was just one paragraph, but since then I have read tons of resources about the topic, including original diaries and resistance newspapers. I’ve always wondered whether I could be in the Resistance and have concluded that I would probably be pretty good at organizing spies and decoding, but I am definitely not as brave as the characters in the book. What lessons or reactions are you hoping readers will take away from the book? 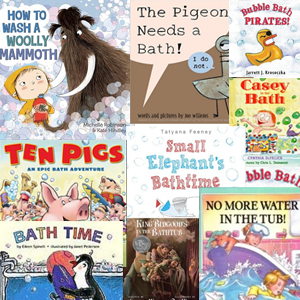 My goal when I write for children is for them to be immersed in the story, eager to see what happens. A number of readers have shared their reactions to the book, and it is fascinating what they take away from the story! I built in some underlying messages, but I love it when readers tell me that they started talking to their parents and grandparents about family history. Lots of wonderful conversations have come from reading Skylark, so I’m very pleased about that. This is your second book for children. Can you tell our readers about your first book and why it holds a special place in your heart? My first children’s book, Amina’s New Friends, was written in response to a theme in my work with refugee children who had resettled in the United States. The children had been through terrible journeys, and when they arrived in America they just wanted to make a new friend. The book is about a Somalian refugee girl’s first day in an American school and is used in resettlement centers all over the world. www.aminasnewfriends.com tells more about refugees. What question have you always wanted to be asked in an interview? And, how would you answer that question? I have never been asked if writing a book is fun. I would answer, “Yes, absolutely, positively, definitely yes.” It is hard work, sometimes frustrating, often overwhelming. But for me, it never ceases to be fun. This is a mind-blowing question! I think there would have to be a series because I can think of so many possible titles! I guess the title that would be appropriate for my entire life would be What Shall I Write About Next? 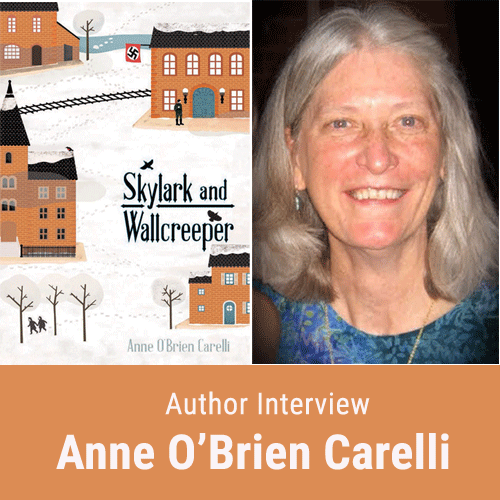 A discussion guide for Skylark and Wallcreeper can be found at https://www.anneobriencarelli.com/discussion-guide-1 .